Major new construction activity is taking place all over California, keeping pace with the hum of economic activity generally. The 5 largest projects that began in 2017 all had budgets of over $1 billion, according to ENR California. Although new construction is happening everywhere in the Golden State, with a $1.4 billion California High-Speed Rail Authority in the Central Valley region and new construction at the University of California at Merced, the Los Angeles area is home to some of the most exciting new developments. Here are 3 of the largest. 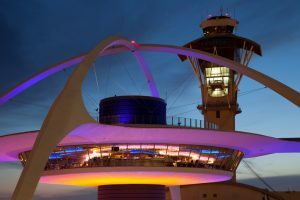 Los Angeles International Airport has begun the first phase of the $1.4 billion Midfield Satellite Concourse and the Delta Skyway project. The opening of the Tom Bradley International Terminal 5 years ago (itself a $1.9 billion project) spurred the demand for expansion and modernization of the entire airport complex — demands that have been building for the past decade, according to planning officials. The airport also has plans for as-yet-unrealized programs, including modernizing landside access, developing an automated people mover, and building a new facility for rental cars. The increasing popularity of downtown Los Angeles has driven the development of the mixed-use Oceanwide Plaza, a more than $1 billion project that will bring 1.5 million square feet total to a 4.6-acre site across from the Staples Center. Ultimately, Oceanside Plaza will be 3 hotel and condo towers placed on top of a retail and parking complex 8 stories high. The site has employed from 900 to 1,300 construction workers. The complex will be 49 stories in total, 675 feet. It will provide 120,500 square feet of retail space and parking. In 2016, the city of Los Angeles demolished the Sixth Street Viaduct, a city landmark that was 3,500 feet in length. It’s replacement, The Ribbon of Light, is widely viewed as a potential iconic landmark for the city. It will stretch over the LA River, the arts district, the 101 Freeway, and a couple railroads. But it’s how it stretches that will make it a symbol of LA. Ten pairs of continuous arches framing the viaduct are planned, making a notable profile. It will be 100 feet wide and a bit over 3,000 feet in length. It is slated to be completed in 2020. New construction is exciting, and a sign that the economy is vibrant. New construction is good news for people who work in the building trades and their families. But construction trades jobs can also be dangerous. Workers can fall from scaffolds high in the air. They may be hit by falling debris. They can be electrocuted, or struck by construction machinery. And those are only some of the hazards construction workers face. If you or a loved one has been injured or killed in a construction accident, call a seasoned Los Angeles construction accident attorney at Ellis Injury Law. We have been successfully investigating and litigating construction site accidents for more than 20 years. Call us today at 310-641-3335 for a free consultation. It is estimated that around 120 construction workers die every year when doing road construction. The shocking part of that statistic is that almost half of those deaths are caused by other construction workers. Summertime means road construction, and road construction means worker safety issues. When you understand why these construction accidents happen, it becomes easier to prevent them. Road construction sites become dangerous for many reasons. Construction vehicles are equipped with back-up alarms that are supposed to warn workers when a truck is backing up, but those alarms become background noise in a work area where car horns can be heard constantly. When a road construction site is on the opposite side of the flow of traffic, workers are usually forced to park in an area that has them crossing many lanes of traffic to get to the job site. The process of moving workers and equipment into the work area becomes dangerous for everyone involved. Construction companies should invest in backup cameras for their trucks and put together safe ways to move workers and equipment from parking areas to the work site. When safety details are planned out properly, it can prevent accidents. It is estimated that 10 percent of the construction workers who are killed on road job sites are struck by distracted drivers. Many of these victims are already in harm’s way to try and help direct traffic. Distracted driving is one of the most common causes of non-construction vehicles crashing into work sites and killing workers. The only way it can stop is if the public decides to pay attention to construction warning signs and slow down at job sites. When road construction workers wear dark clothing, then that jeopardizes worker safety. Construction companies should have defined and strict dress codes in place that involve bright-colored vests to help workers to stand out more for drivers passing by, and other workers on the job site. During the summer, construction workers become accustomed to wearing sunglasses or goggles with tinted lenses to protect their eyes from the sunlight. But when there is no sunlight, wearing tinted lenses can create a serious worker safety issue. Construction companies should get used to regulating the use of sunglasses and making sure that workers put safety over style. Many construction companies work shifts around the clock to get road projects completed by their deadlines. This means night work, and that brings a whole new set of responsibilities. Supervisors need to be sure that every worker is wearing their reflective clothing and that workers are well-rested when the shift begins. A loss of focus during night work on a road construction site creates a serious safety hazard for every worker. The statistics show that road construction during the summer is dangerous for workers and the public. Construction companies need to take the necessary steps to prevent construction accidents and enhance worker safety during these busy months. If you are effected by this type of accident, call a Los Angeles construction accident attorney to get on your side. Michael Monheit, Esq is one of the founding lawyers of Monheit Law, P.C®. where they are dedicated to the protection of individual rights. The firm specializes in birth injury, brain damage, brachial plexus injuries, negligence and malpractice lawsuits. Construction sites can be dangerous places. Workers are at risk for falls and for being caught between objects. But one of the most pressing dangers construction workers face is electrocution. The U.S. Occupational Safety and Health Administration’s (OSHA) compiles a “Fatal Four” report of the most common construction site accidents and electrocution is on the list. What causes electrocution on construction sites? Here are the 3 most common causes. Overhead power lines are the most common cause of electrocution. Metal ladders and lifts are frequently used on construction sites. If they come into contact with overhead power lines, the workers on them run the risk of electrocution. Because of this danger, OSHA has very firm requirements about overhead power lines. Workers should be a minimum of 10 feet from overhead power lines containing a maximum of 50,000 volts. They should include an additional 10 feet and 4 inches for every increment of 10,000 volts beyond 50,000. Workers on a site near power lines may sometimes assume that the power lines have been deactivated or de-energized. It’s very important never to assume that the power lines are safe. Extension cords that are improperly maintained and improperly used can become conduits for electrocution. Extension cords on construction sites often have to extend around window sills, doors, and unfinished surfaces. These can exert wear and tear on even heavy industrial cords beyond the norm. The surfaces can fray and expose the interior. The plug-ins can become unsafe. Extension cords need to be regularly inspected as part of safety precautions on the site. They need to be replaced if they begin to show signs of wear or damage. Equipment that is either damaged or defective can also pose a risk of electrocution. Equipment needs to be inspected frequently to ensure it is safe to operate. If it has become damaged due to hitting an obstacle or being used improperly, it needs to be removed from active service and inspected. The Los Angeles area is home to thousands of construction projects every year. It’s part of what makes our area vibrant and full of growth. But tragedies can happen on construction sites throughout southern California. If you or a loved one has been injured in a construction site accident, Ellis Injury Law is here to help. We offer tenacious, results-oriented advocacy and will never settle for less than you deserve. Call our offices today for a free case review with construction accident lawyers Los Angeles has come to trust. Along with mining and logging, construction ranks among the most dangerous industries to work in. The latest figures from the U.S. Bureau of Labor Statistics show that some 180 workplace fatalities took placed in southern California last year, including Los Angeles, Riverside, San Bernardino, Ventura and Orange Counties. 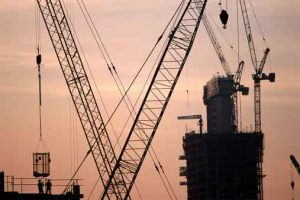 Many of these deaths occurred on building sites, where long hours, challenging work environments and heavy equipment make for a perilous mix. Most of us are familiar with OSHA’s “Fatal Four” in the construction sector – the top 4 causes of construction worker injury and death. These are: falls, struck by object accidents, electrocutions and caught in-between accidents. On any given year, falls account for the lion’s share (nearly 40 percent) of all fatalities on building sites. Many of these falls happen at high elevations, and those who are fortunate enough to survive often do so with catastrophic injuries. According to OSHA, some 100 construction workers are killed in the U.S. every year after being hit by an object on the work site — usually a piece of heavy equipment, building material or power tool. The third most common cause of accidental death at construction sites is electrocution, which happens when a worker or a piece of equipment he or she is handling comes in contact with a live energy source or power line. Crush accidents are also another risk factor for anyone working on a construction site. This can happen when heavy machinery rolls over, pinning the worker beneath; an arm or body part is caught between a moving part of equipment, or being trapped beneath a cave-in of collapsing materials. Although construction work is inherently risky, many accidents can be avoided by taking protective measures to maintain a safe environment. How are these injuries preventable? Here are seven common reasons why construction accidents happen. Most laborers who are injured on the job are told they can apply for worker’s compensation benefits. But this “no fault” insurance coverage may not be your only recourse. The Ellis Law Firm is dedicated to fighting for the rights of injured workers in Southern California. While a workman’s comp claim can help offset some of the economic losses, it’s rarely enough to bear the brunt of medical expenses, pain, suffering and diminished earning capacity. For a confidential discussion about your case, call 310-641-3335 to speak with a Los Angeles construction accident lawyer who has the skill and experience to get results. The consultation is free. Reach out today for expert guidance from an award-winning law firm. Skyscrapers and other big buildings are modern marvels that push the boundaries of engineering capabilities. Plenty of construction projects are executed without major accidents, but all it takes is one mistake around a giant crane to cause the tragic loss of human life. Some of these tragic crane collapses have taken place right here in California. One of the more recent crane collapses to take place in California was the accident involving a 300-ton crane at the Exxon Mobile refinery in Torrance. In June 2016, the crane was put to work one morning relocating debris. Shortly after 9:30 a.m., it inexplicably collapsed, and workers rushed to douse the debris with water to prevent the release of flammable vapors. It’s unusual for such a massive crane to cause no deaths or major injuries when it collapses, but that was fortunately the case with this incident. Just three workers sustained minor injuries. The collapse was later discovered to be caused by an unspecified human error. A crane collapse that occurred in San Francisco in 1989 was far more disastrous. The 350-foot behemoth was being used to construct the Federal Home Loan Bank at Kearny and California Streets. At the time of the collapse, the crane was being repositioned—a hazardous process that requires the machinery to be perfectly balanced. During this deadly construction accident, the boom swung out of control over the intersection, slammed into the 24-story building it was constructing, and then slammed into two other office buildings before it fell onto the intersection. A construction worker was inside the operator’s booth when the lower portion of the crane, including the booth, toppled 16 stories down and fell onto a school bus and a commuter bus. The counterweight then crashed through the pavement, creating a crater and damaging cars in an underground parking lot. At least five people were killed, including the school bus driver, three construction workers, and a pedestrian, and multiple people sustained injuries. As of 2008, crane owners and operators in Texas could use the machinery without any state or local oversight. Subject only to federal regulations, it’s perhaps not surprising that the state had the dubious distinction of having the most crane-related fatalities during the early 2000s. In July 2008, one of the largest mobile cranes in the country collapsed at an oil refinery in Houston. This construction accident killed at least four workers and injured seven others. Each Los Angeles construction accident attorney at Ellis Law have been fighting for the rights of injured workers and pedestrians for more than two decades. We understand the inherent dangers of the construction field, and we believe that victims of crane collapses and other construction-related accidents deserve maximum compensation. To find out if you could have grounds for a lawsuit, you can call our office at 310-641-3335 for your free case review. Whether caused by a known electrical hazard, a sudden electrical explosion, high voltage wiring, or OSHA safety standard violations, there are many scenarios where an employer could be held liable for a construction worker’s electrocution injuries. Lack of protective equipment, improper training, poor inspection protocols, and inadequate maintenance are all factors where employers may be negligent. 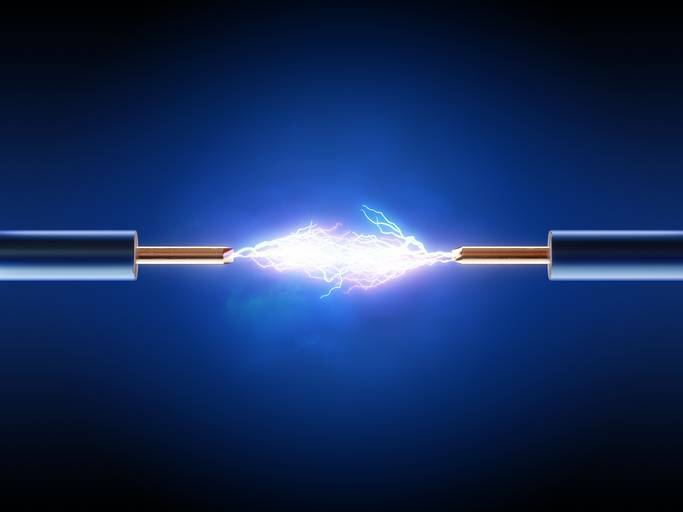 Are Employers Liable For Electrocution Accidents? 80% of those injured had some type of electrical safety training (most commonly, on-the-job training). Supervisors were present in 53% of the accidents. 41% of the victims were on the job for less than one year. In 35% of incidents, there was no safety program or established safety procedures. They concluded that “Most of the 224 occupational electrocution incidents investigated… could have been prevented.” Investigators have found that comprehensive safety programs are often not fully implemented. Management is not 100% on board with explaining and promoting safety protocols. Though many injured workers were inexperienced and did not fully understand how to identify hazards in their environments, management is ultimately responsible for providing a safe work environment for all employees through training, protective equipment, and adherence to established safe work procedures and policies. In order to avoid serious liability, it is important that construction worker employers follow every protocol to avoid contributing to a worker sustaining injury. Furthermore, manufacturing companies accounted for 54% of the lower-voltage incidents, despite design features like safety interlocks, emergency stops, and electrical guarding. Failure to maintain properly designed equipment falls on the employer. Electrocution accidents are sometimes traced back to utility companies who fail to maintain their lines. Companies that put profits before public safety must pay for their negligence. Each knowledgeable Los Angeles construction accident attorney at Ellis Injury Law will work to protect you against this injustice by fighting for the compensation you deserve. If you or a loved one have been electrocuted in a serious electrocution accident near Los Angeles, California, Ellis Law can help! We will help you determine how much worker’s compensation will cover, look into premises liability issues that put you at unnecessary risk, and identify systemic issues that could be putting your coworkers at risk of suffering a similar fate. Call 310-641-3335 for a free, no-obligation case assessment. Construction Site Accidents & Injuries – Who Is Liable? California construction laborers face a number of workplace hazards each day. According to OSHA, more than 20% of fatal workplace accidents occur in the construction industry. That means roughly 1 in 5 workers will get hurt on a construction site. California’s construction industry has a fatal injury rate of 6.8 percent, which is second-highest, next to the sector which includes loggers, fishermen, and ranchers. Construction workers die from falls, electrocutions, being struck by heavy objects, getting crushed by equipment, or trapped inside collapsing structures. Other general violations that occur across the various industries include failure to adhere to proper hazard communication standards, poor control of hazardous energy, improper electrical wiring methods, and inadequate respiratory protection. On average, more than 13 people die at work each day in largely preventable accidents. Those who survive are often left with debilitating injuries. Who is liable for construction accidents and injuries? Determining liability can be a complex matter, given that each construction setup follows a different hierarchy. There are site landowners, designers and engineers, general contractors, subcontractors, construction managers, equipment manufacturers, material suppliers, maintenance technicians, insurers, and construction management firms. Large construction projects involve a good deal of delegation to spread out legal responsibility. The construction site owner / legal possessor of the land – Like all premises liability cases, the landowner is responsible for maintaining a safe environment for all invited guests. If the land owner knows about (or should have reasonably known about) a potential hazard on the land, but did nothing to remedy the situation, he or she can be charged with violating a duty of care. This standard does not apply when invitees are forewarned about the hazard. General contractors, subcontractors, and coworkers – These workers have a duty to make sure they have performed their portion of work on the construction site safely, to industry and company standards. Competent workers should be hired and thoroughly trained to ensure compliance with safety regulations. Architects and engineers – Design and land use professionals must act in accordance with local code regulations. They must obtain all relevant permits and inspections before their work moves from blueprints to reality. If their work fails to meet the terms, conditions, and standards set forth in their contracts, they may be held responsible. Machinery manufacturers or maintenance technicians – Sometimes equipment malfunctions as a result of poor maintenance work, defective design, or early degradation. The legal principles of a standard product liability lawsuit may apply here. Insurers – Insurance coverage is designed to cover property owners or construction firms in the event of a catastrophe. Sometimes there is ample coverage to pay for all injuries and a lawsuit is not necessary. More often than not, the amount of insurance money offered pales in comparison to the expenses incurred by a serious injury or fatality. Insurance only pays for tangible medical expenses and lost income, not emotional pain and suffering or other, more personal losses. Only a lawsuit can compensate for loss of enjoyment in life, guidance, consortium, companionship, and other heartaches. The Ellis Injury Law Firm has won over $350 million for clients from diverse backgrounds. A Los Angeles construction accident attorney can help you evaluate your claim for compensation. Our investigators have extensive experience in construction accident reconstruction, and we employ the best industry witnesses to provide depositions and testimonies that lend credence to your case. In most cases, we obtain fair settlements outside of the courtroom. All legal counsel is provided free of charge until we secure money on your behalf, so there is nothing to lose by calling 310-641-3335. OSHA statistics paint a grim picture for construction worker safety in the United States. Tens of thousands of construction workers are seriously harmed on the job every year, and falls are the number one cause of life-threatening and fatal injuries. When accidental falls and other mishaps crush or damage the spinal cord, partial or complete paralysis may result. After suffering spinal cord trauma, victims may experience loss of sensation and movement in the legs, trunk, arms and hands, depending on the severity and location of the injury. Anecdotal reports of construction accident-related paralysis speak to the imminent dangers facing workers today, especially considering that fall protection is the most violated OSHA regulation. All laborers must be provided with adequate fall protection equipment – including guard rails, safety harnesses and toe-boards– whether working on scaffolding or operating heavy equipment at heights more than 6 feet. More than any other type of construction accident, falls are the leading cause of spinal cord trauma and paralysis. Take the case of construction worker Hugo Hernandez Palomino, a Maryland worker who was paralyzed from the neck down when he fell from scaffolding after being struck by a high-voltage transformer. The impact from the violent fall broke his cervical vertebrae, rendering him quadriplegic. In 2014, a Maryland jury awarded Palomino and his family $21.7 million to account for his substantial pain and suffering, and lifelong medical needs. Palomino is unable to work, and will need 24-7 nursing care for the remainder of his life. When workers like Palomino are unfortunate enough to suffer injury higher on the spinal cord (between the C1-C4 vertebrae), the results are catastrophic. Quadriplegic patients require round-the-clock personal care and assistance with basic tasks such as bathing, dressing and eating. A fall that irreparably injures the lower cervical vertebrae or thoracic vertebrae in the middle to lower back can result in paraplegia, affecting movement and nerve sensation in the legs and lower body. Victims may be confined to a wheelchair, though many can learn to drive a modified car. OSHA includes “struck by” incidents as part of the construction industry’s Fatal 4 hazards. Every year, thousands of workers are struck by falling objects, tools and heavy machinery such as crane loads and forklifts, causing debilitating injury and death. A severe blow to the neck or back from a heavy machine or falling object can easily damage the delicate spinal column, culminating in temporary or permanent loss of function. Though advances in spinal cord research and groundbreaking nerve cell therapies hold promise for the future, those living with paralysis face exorbitant medical costs and a reduced quality of life. For workers who have suffered a paralyzing construction accident injury, it’s important to ensure that negligent parties are held accountable and fair compensation is obtained. Each Los Angeles construction accident attorney at Ellis Injury Law will work hard to get the help you deserve. Ellis Law Corporation works with medical and economic experts and life care planners to accurately project the true value of your claim, and leverages more than 25 years handling complex construction accident cases. For a no-charge case evaluation with a Los Angeles personal injury lawyer call us at 1-800-INURED. On March 22, a contractor with Southern California Edison died as the result of a construction site accident in which he was crushed in between a trailer and crane located in the 1200 block of La Cienega Boulevard in West Hollywood close to the Sunset Strip. According to officials from the Los Angeles County Sheriff’s Department, the man was transported to the hospital and pronounced dead there. A spokesperson for Southern California Edison confirmed that the victim was employed by one of the utility company’s contractors. The accident happened in a portion of the Sunset Strip which has been characterized by a significant uptick in construction activity of late. In fact, La Cienega Boulevard was closed in order to accommodate the work being done at the specific location, based on information provided by a Sheriff’s Department representative. Following the event, an investigation was initiated by the California Division of Occupational Safety and Health. The federal Occupational Safety & Health Administration estimates that roughly 6.5 million Americans go to work at a quarter of a million construction sites each and every day. Given the inherently risky nature of the tasks undertaken by these individuals, it should come as no surprise that the rate of fatal injuries for those working in construction trades is elevated when compared to those in other industries. Each of the dangers faced by construction workers on a daily basis has the potential to cause life-altering injuries and sometimes even death. When laborers must work near heavy equipment placed on surfaces that are often unstable or must complete tasks at dangerous heights, the possibility of suffering real harm is ever-present. The worker’s compensation system in California is designed to provide essential financial resources for those harmed in workplace incidents, but in exchange for such payments, workers necessarily forfeit their right to pursue their employer for negligence which may have contributed to their injuries. For some, worker’s compensation payouts are sufficient assistance to cover medical bills and other losses. However, in other cases, the amount received does not come close to offering the funds necessary to facilitate real recovery or compensate loved ones for the loss of income, familial support and companionship after a fatal event. When that is the case, the victims of accidents and their families may consider the option of a third-party claim against an entity other than the actual employer if it can be established that the negligence of that party caused or contributed to the injury or death. Whether you need assistance navigating the worker’s compensation claims system or are interested in exploring the option of a third-party negligence suit, the attorneys of Ellis Law are ready and willing to assist. To explore your options with a trusted Los Angeles construction accident attorney, contact us at 310-641-3335.